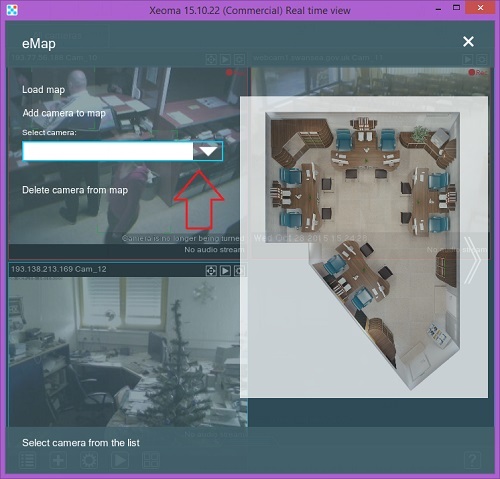 E-Map is a professional feature in Xeoma security camera system that displays the monitoring area on an electronic map, by which the operator can easily find the cameras. 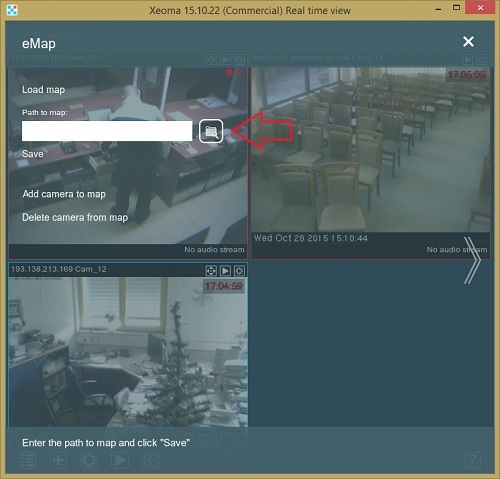 Upload the facility plan to the program and locate security equipment. Upload the facility plan (please use jpg, png, bmp picture formats). Drag and drop camera icons on the scheme and name your cameras. To change the camera’s angle, click on the camera icon. To improve effectiveness of your security camera system please use the built-in motion and noise detectors. 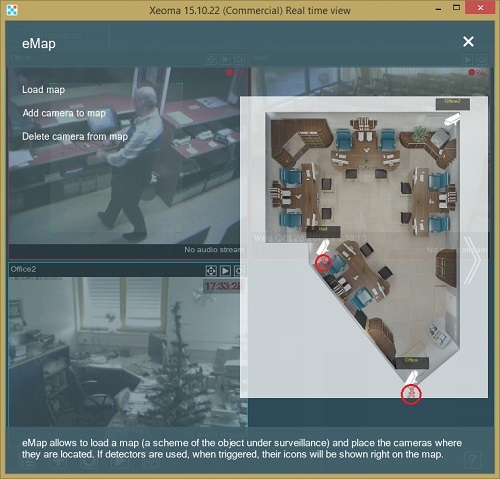 As soon as one of the detectors triggers, Xeoma will show you what is happening on the map. You will see the red sensor and can easily determine in which room there was a movement or noise threshold exceeded the limit. 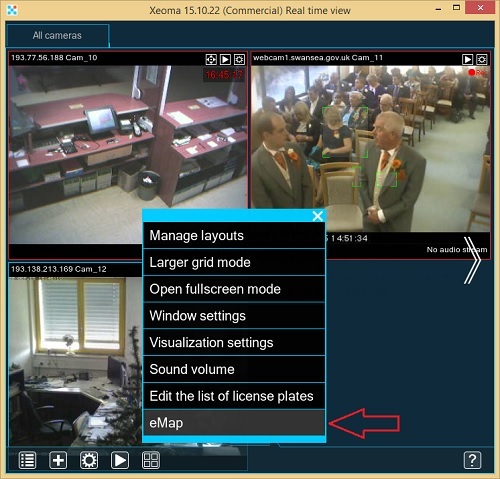 To access the camera preview, click on the needed camera icon.